My current research interests revolve around the aesthetics and symbolism of the medical museum; using its collections, taxonomies, and histories as metaphors for a contemporary subjective experience of the body, in life and death. My history as a mixed-race, post-colonial child informs a practice exploring interstices: between science and religion, the normal and the pathological, the familiar and the uncanny. 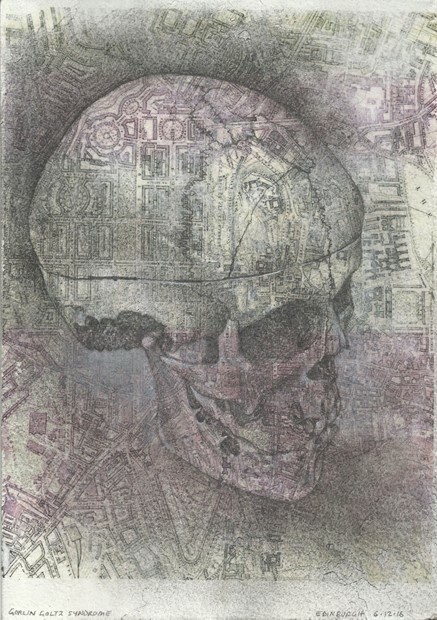 These themes are visualised through mixed-media processes which include drawing, assemblage, and installation. 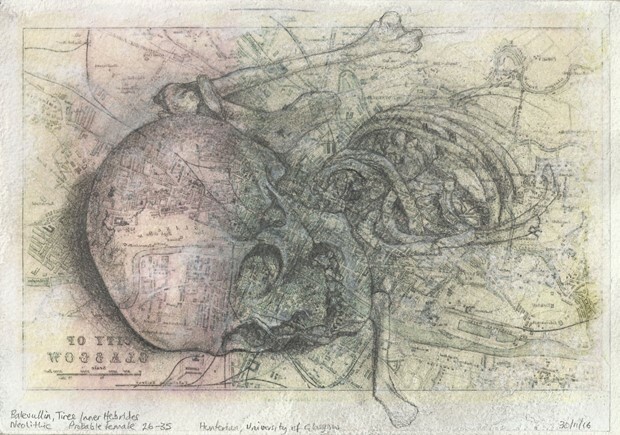 Recent work combines historical and contemporary anatomical imagery with maps and literature to create layers of image and meaning, evoking new considerations of anatomical collections and their role in creative responses to the body. 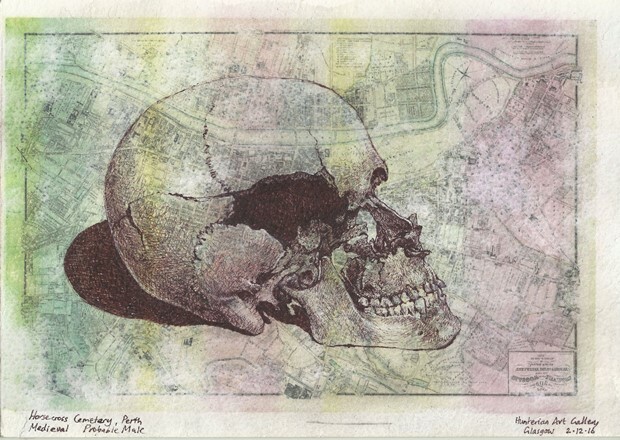 This mapping process – anatomical, geographical and conceptual - forms part of a metaphorical locating of the 'self': the medicalised or pathological self becoming a metaphor for the 'stateless' self that is brought into question by relocation from one country or state to another. My studio work is enabled by and intersected within a community engagement and public arts practice, making artwork for institutions as varied as schools, hospitals, libraries, and public conveniences. I have taught art at secondary school, FE, and HE levels, and regularly disseminate my visual research at conferences and seminars in the UK and Europe. 2013 - “An Order of Things”,selection: Dept. of History, University of Liverpool. 2011 'Interstice/Confluence' (with Anne Barclay) Benham Gallery, Colchester. 2010 - An Order of Things, Minories Gallery, Colchester. 2009 - 'The Double-Skinned Shed', St Martins Church, Colchester. 2008 - 'Wearable Vanitas and other work', Platform Gallery, Mistley. 2013 - “Conversa…Informação…Comunicação”: CECAL, Loulé, Portugal. 2010 - “Women Artists in 2010”: New Brunswick, Canada. 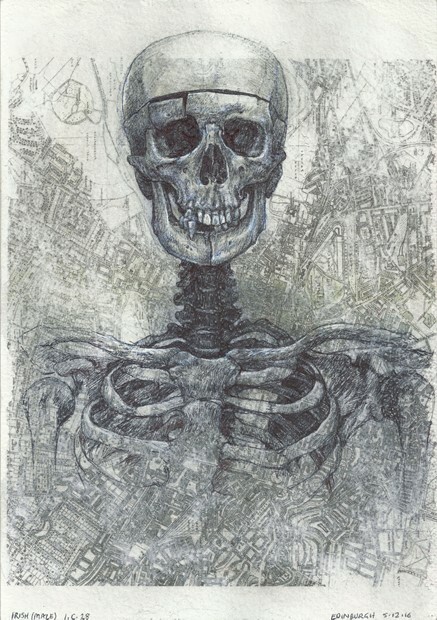 2009 - “Long Nights”: William Angel Gallery, London. 2008 - “Wearable Expressions”: Palos Verdes Arts Centre, California. 2005 - “Dust to Dust”: Arts on 5 Gallery, University of Essex. 2013-14 - “Exchanges2”: Changing Room Studio, Suffolk Artlink/University College Suffolk. 2007 - Chantiers des Arts: (With Natasha Carsberg) Cunlhat, France. 2005 - Artist in Residence, Chateau De Sacy, Picardie, France. 2012 - "Reminiscence Points'" Ghyll Grove high dependency unit (BUPA), Basildon, Essex. 2008 - "Creative Conveniences", public art in public conveniences, Colchester and Dedham. In collaboration with Kate Farley and Andy Hazell. Colchester Arts Development. 2005 - 'Riverside Living Project': Interpretation panel. In collaboration with Gary Thrussell, Mencap, Colchester and Braintree Museums, and River Colne Conservation Group. 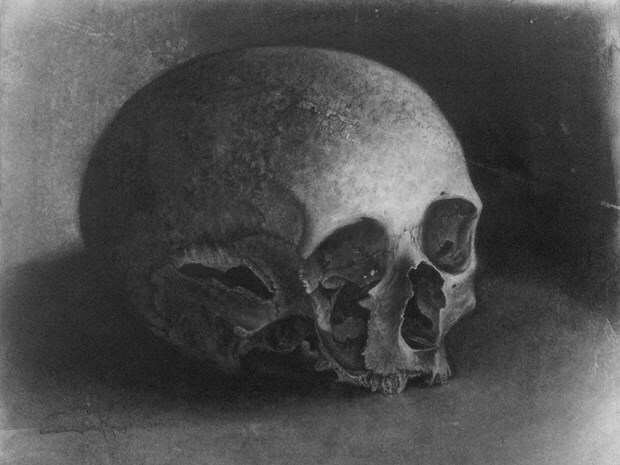 2015 - “The dying of the light: art seeking self in the anatomy museum”: in Dynamis: journal of history of medicine. Co-authored with Glenn Harcourt.